Come out Sunday, March 18th, 3:30-6:00 p.m. for Foreword South's next live show at the Goat Haus Biergarten! 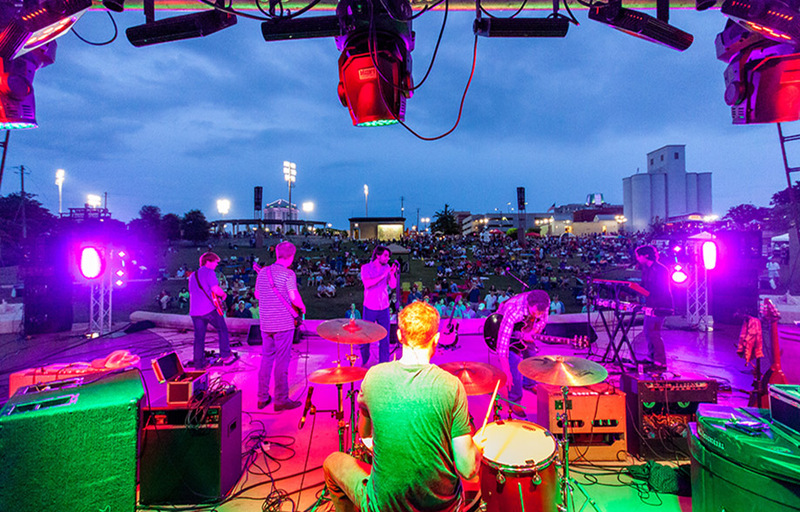 This latest live event in our singer-songwriter series will feature Montgomery's very own, CHIKA, a 21-year old hip hop-artist who has amassed a significant following on social media and collaborated with some of hip-hop's biggest names. Growing up in the South has created a distinct artistic voice for CHIKA that allows her to stand out from the other artists in her field. Through poetry, songwriting and rapping, she is able to touch on social topics and spark honest conversations with her audience. CHIKA hopes to be able to use her music to touch lives and create a better one for the people around her. 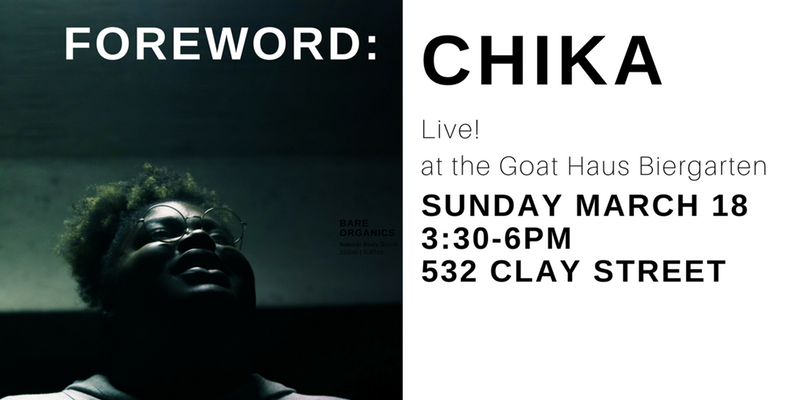 The Foreword South team, a talented storytelling collective and media outlet, will also be interviewing CHIKA in front of our live audience. The acoustics at the Goat Haus Biergarten, a Victorian-style mansion, are amazing as evidenced by previous performances from Abigail Douglas and The Last Thing You Remember. Come out and support local, live, and original music! Tickets on sale now for $10! Use discount code CHIKALIVE for $4 off. Purchase at the door for $12.